The August Freedom Petals event was a huge success.... On Friday, 21 August the volunteers got ready for a first time ever Barbecue. All the bouquets were in mason jars. We created 10 mason jars, several baskets and a birthday arrangement. 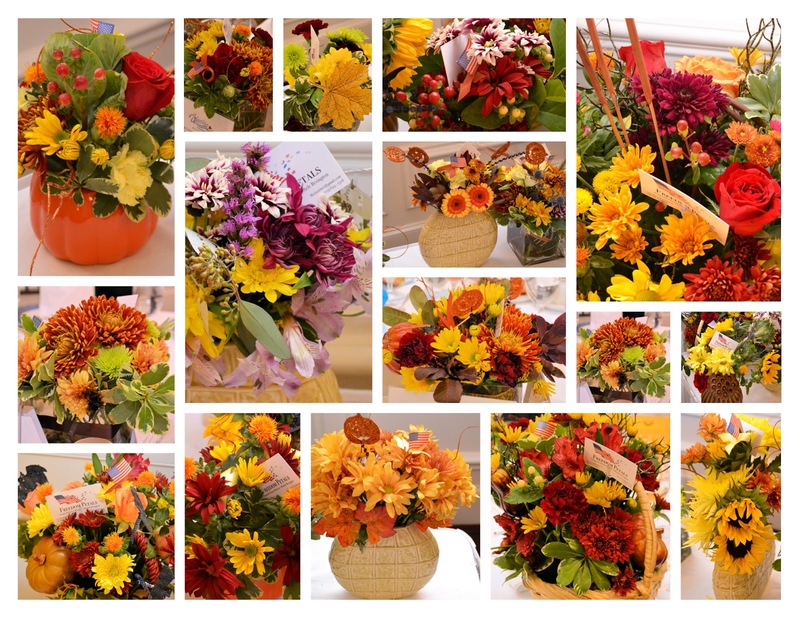 We had so many beautiful flowers donated from Anne Harvey, Herndon Florist and a few days of collecting from Trader Joe's Reston. Thanks to our supporting partners we had a successful Aleethia Friday night dinner at the Fairfax/Arlington Elks Club. What a beautiful night and here we are at a BBQ . We were so blessed to find ourselves at the Arlington-Fairfax Elks Lodge #2188 for a BBQ and the weather cooperated so well. It was not humid and it was cool, WOW!. Someone was watching out for us. They were set up for inside and outside eating, had checkered tablecloths on all the tables and a great amount of food (covered dishes) on the tables. The food was so good. When we got there, they were just setting up and we pitched in to help them. When we were finished with the tablecloths there was definitely something missing and that was satisfied with the addition of our flowers. The flowers were fresh flowers that had a farm look, in mason jars with bows and lots of colors. Our volunteers outdid them selves in making our addition to the BBQ perfect. Thank you all for your help. Finally, every Wounded Warrior left with flowers, a full stomach and happy memories. 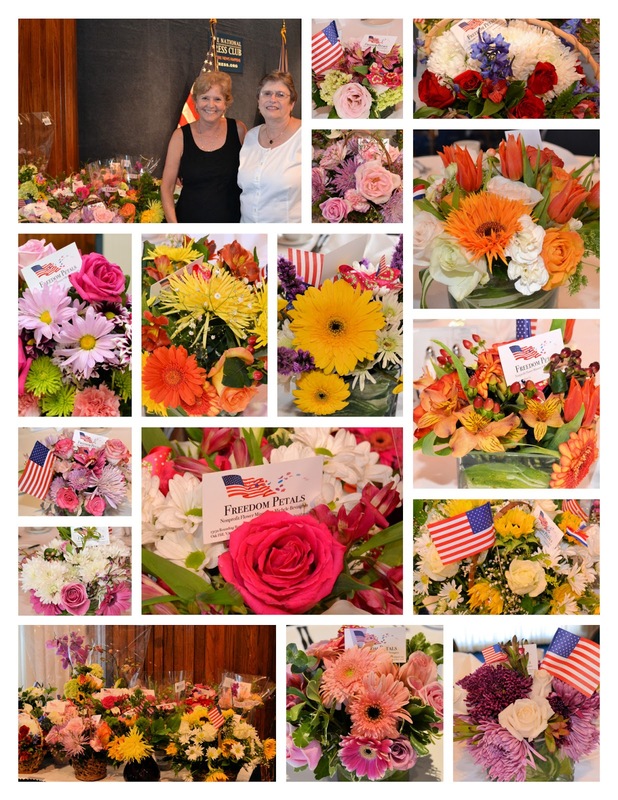 The Saturday volunteers created all the flowers for the Walter Reed visit and the Fisher House delivery. Monday the hospital was so appreciative and once again we saw lots of smiles from the Fisher House staff. 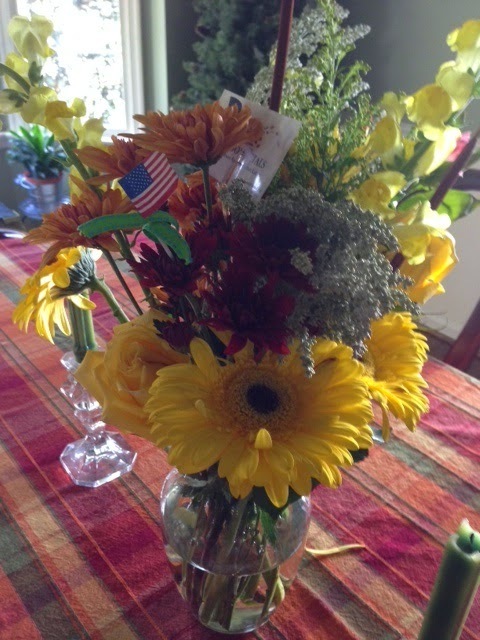 Our flowers bring lots of hope and healing to our wounded warriors and their families. Thanks again for your time, prayers, and gifts. I know everyone is praying for a sign of Spring. I cancelled the February deliveries due to the unpredictable inclement weather and some family health issues we were dealing with. Now we are looking forward to our beautiful springtime arrangements for our March Event. Thank you to all who have dropped lots of vases to my house in the last few months. If you can donate any springtime items to adorn our arrangements; butterfly's, dragonflies or lady bugs.....You get the idea! Please reply with the date you can volunteer to create flowers for our March event. Hope everyone had a blessed holiday and fun bringing in the New Year 2015. 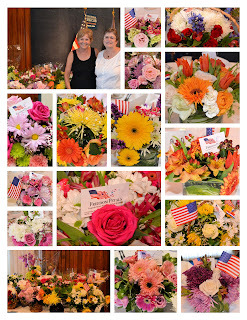 Freedom Petals in looking forward to another year bringing smiles to our wounded warriors with flowers. We are confirmed for our Walter Reed Delivery and support to the Aleethia Friday Night Dinner. Our flower event will be 23/24 January. Saturday 24 January - 9 till we are done. Bouquets for Walter Reed and Fisher House. Thanks again for all your help this past year. In partnership with Aleethia Foundation and The Herndon Florist (Anne Harvey), Freedom Petals donated flowers for another Wounded Warrior wedding on January 12th. The Aleethis foundation provided the venue restaurant in Rockville, Md. The Herndon Florist created the beautiful orange/salmon bridal bouquet, and assorted flowers for the wedding. 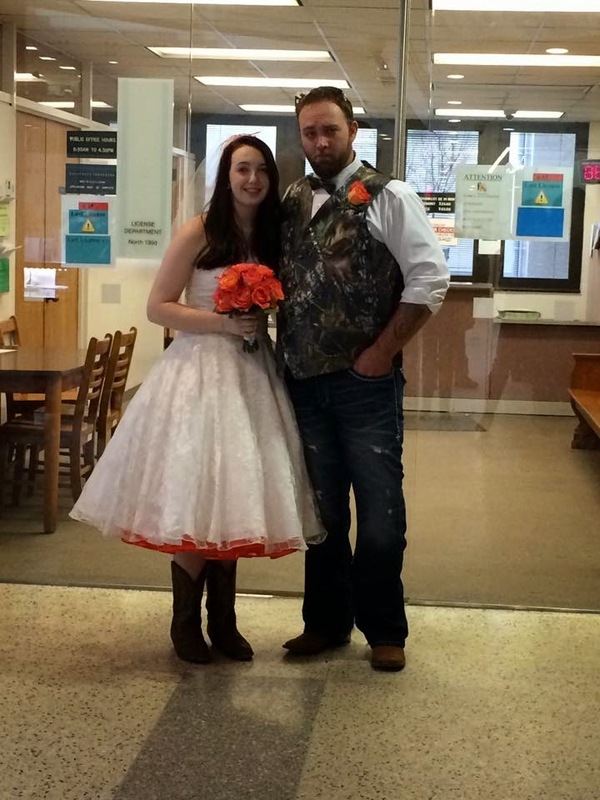 Congrats to Michael and Angela!